Felimazole Coated Tablets for Cats come in 5mg and 2.5mg sizes. These pink sugar-coated biconvex tablets are approximately 5.5 mm diameter. 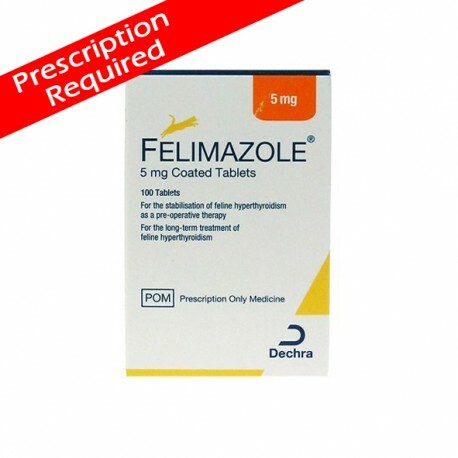 Felimazole Coated Tablets for Cats come in 5mg and 2.5mg sizes. These pink sugar-coated biconvex tablets are approximately 5.5 mm diameter. 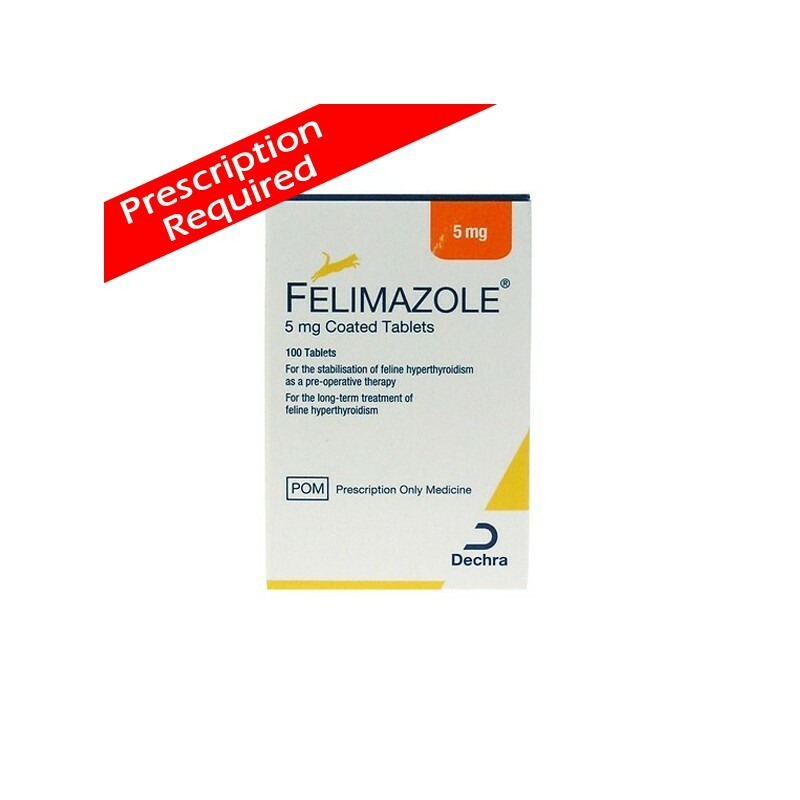 Felimazole Coated Tablets are designed to stabilise feline hyperthyroidism prior to removal of a cat's thyroid gland by surgery. Generally this ensures euthyroidism within 3 weeks in the majority of cases. Hyperthyroidism is a common condition in senior cats and is the result of excess production of thyroid hormones from the cat's thyroid glands. These hormones are controlled by Felimazole. For long-term treatment of hyperthyroidism the animal will need to be treated for the rest of their life and be closely monitored by your veterinary surgeon.